No time for a proper vacation? Take your usual hangout plan a notch higher by visiting this newly opened hookah parlour facing the beach. 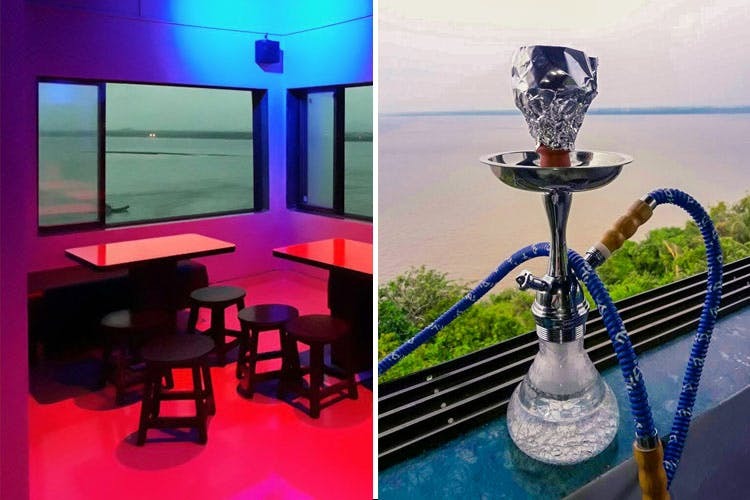 Weldonly is a hookah parlour and restaurant that has opened up on a cliff facing Uttan Beach. Only about a month old, it is right off the beach and has a spectacular view. They’re still waiting on their liquor license, so don’t go there for the alcohol. Like a standard sheesha parlour, you have Chinese starters and mains to nibble on: manchurian, chicken 65, prawns in chilli garlic sauce, noodles, egg rice and the usual fare. They have over several varieties of hookah available, starting at INR 500 for a double flavour hookah. At the moment, they have some crazy deals serving 4 hookahs for INR 1200. The place, we repeat is nothing extraordinary in its decor besides a few wall decals, as they hope to do up the place soon, and have fairly standard tables and blue & red lighting. The view, however, is unbeatable and something you can’t miss out on! You can take a train to Uttan, near Mira Bhayander. It should take about an hours’ time. You can also drive down to the place which will take about 1.5 hours on the road. While we don’t know much, what we do know about this place is enough to make us want to go check it out. See you there?